Before coming to the UK, Yuhei was a senior stylist at the main Yuko salon in Japan and also a top instructor at the Yuko Academy based in Tokyo. He worked closely with Yuko Yamashita, creator of the YUKO brand and hair straightening. He was also involved in media work and produced video materials for the YUKO training programs in Tokyo. Yuhei came to the UK in 2002 to teach and promote the highly sophisticated straightening technique here and throughout Europe. He worked for the Yuko salon in Mayfair as the salon manager. The results he achieved exceeded customers’ expectations, especially those who had poor experiences in the past and had almost given up on having perfectly straight hair. 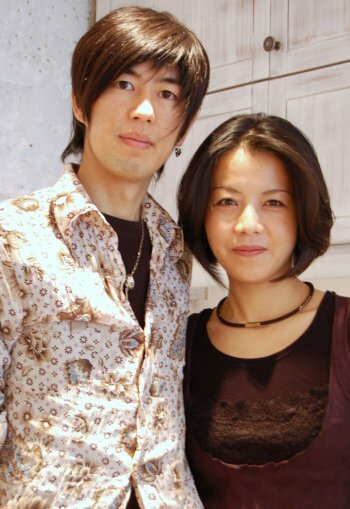 In 2008, Yuhei opened his salon “Yuhei” in Hampstead, London with his partner Reiko. Reiko has been involved with YUKO straightening as long as Yuhei and was the general manager of the YUKO salon in Aoyama, Tokyo. Together, Yuhei and Reiko provide their high quality hair straightening service in a warm, relaxed and comfortable atmosphere with clients travel to see them for straightening and other treatments from all over the UK, Europe and the Middle East.